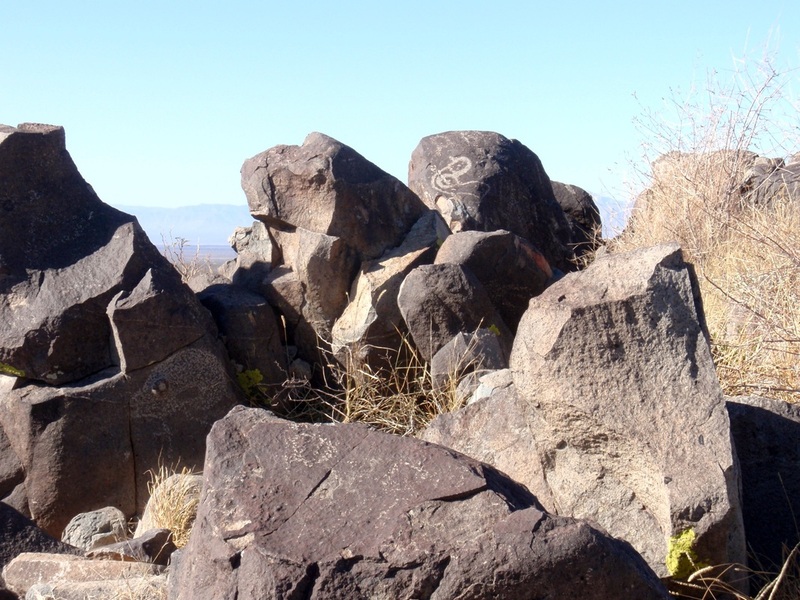 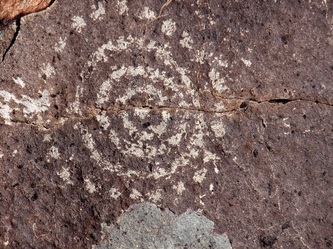 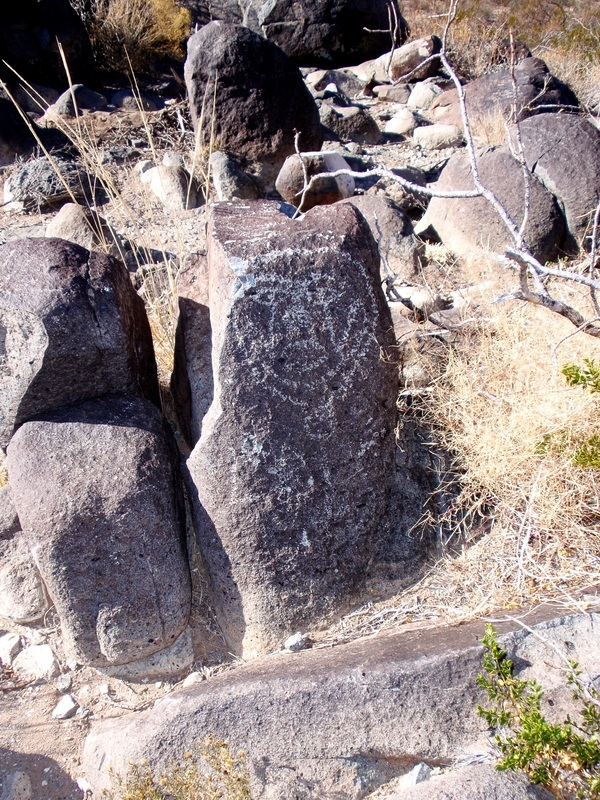 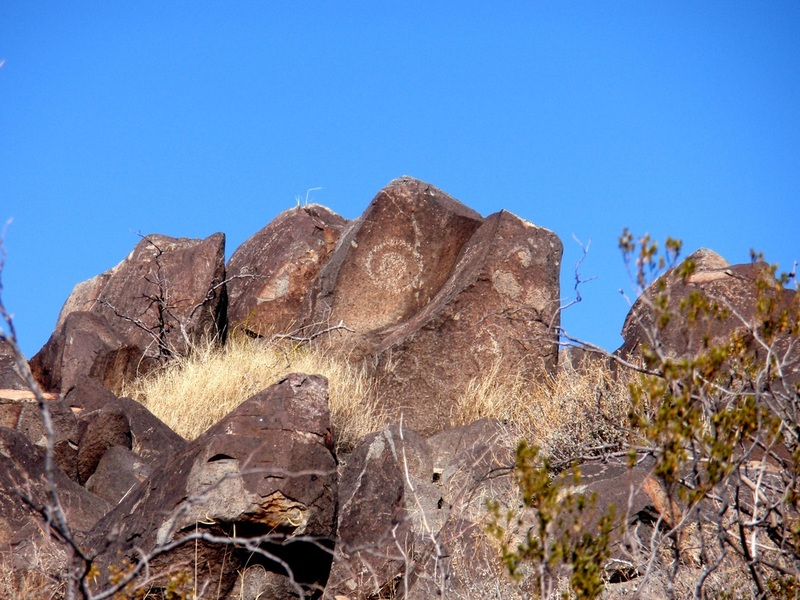 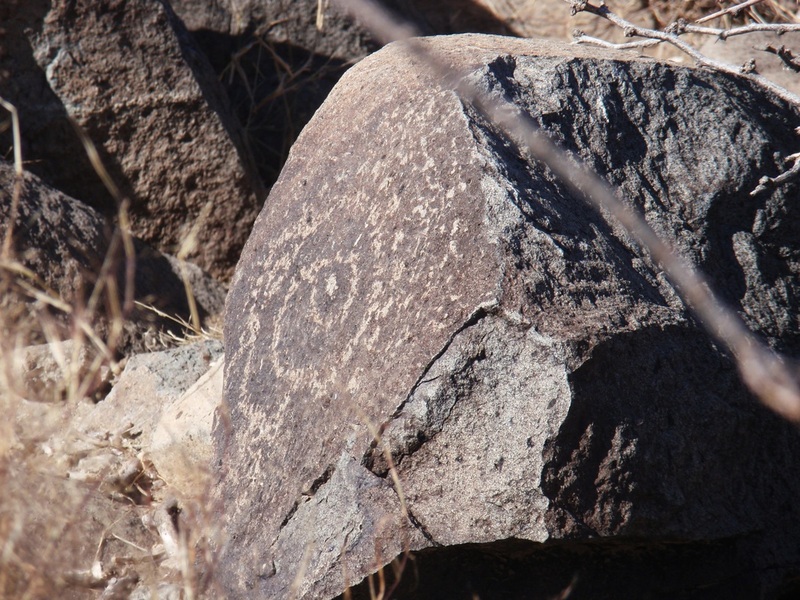 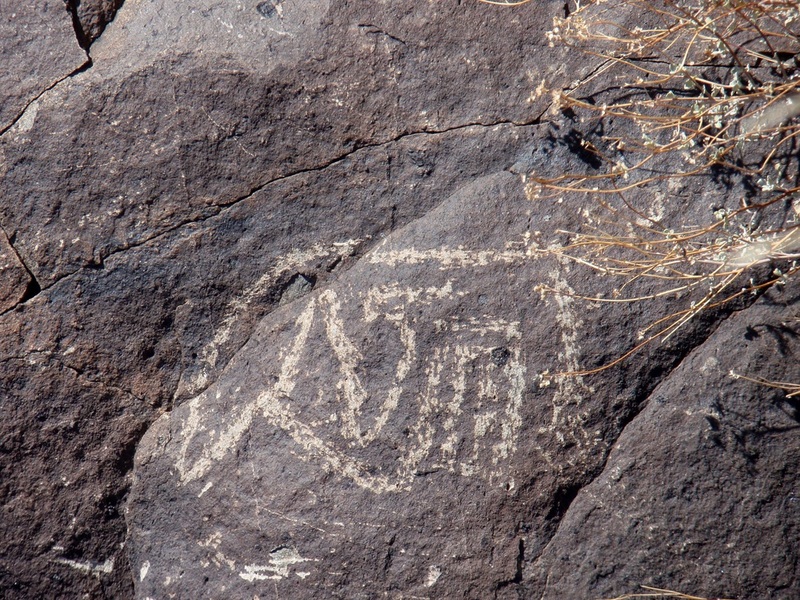 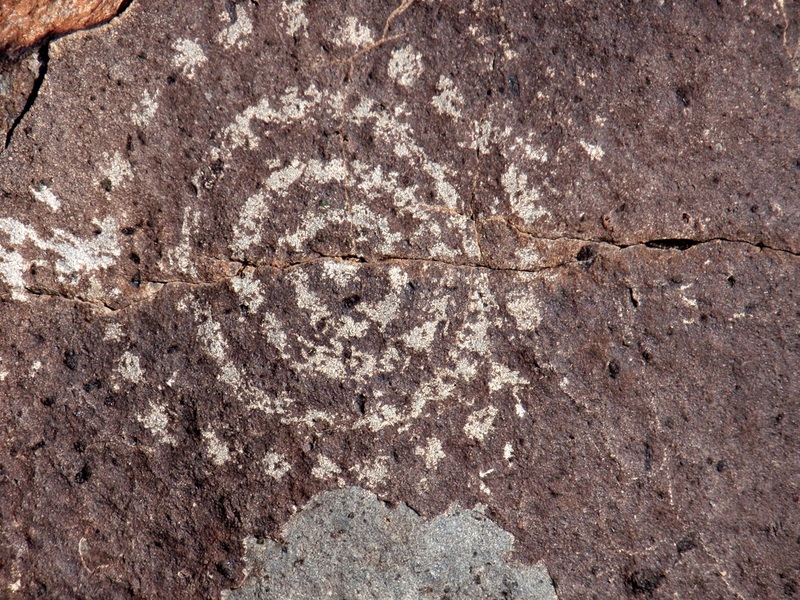 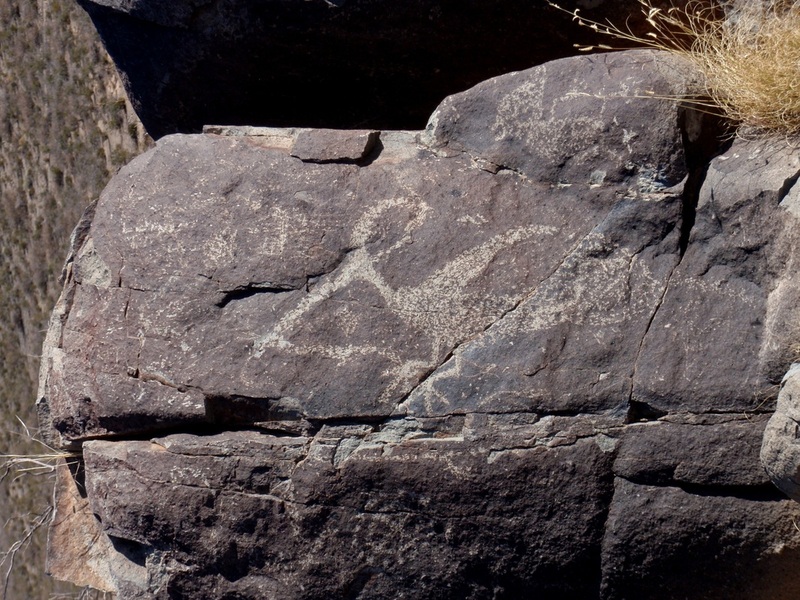 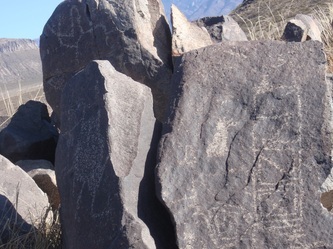 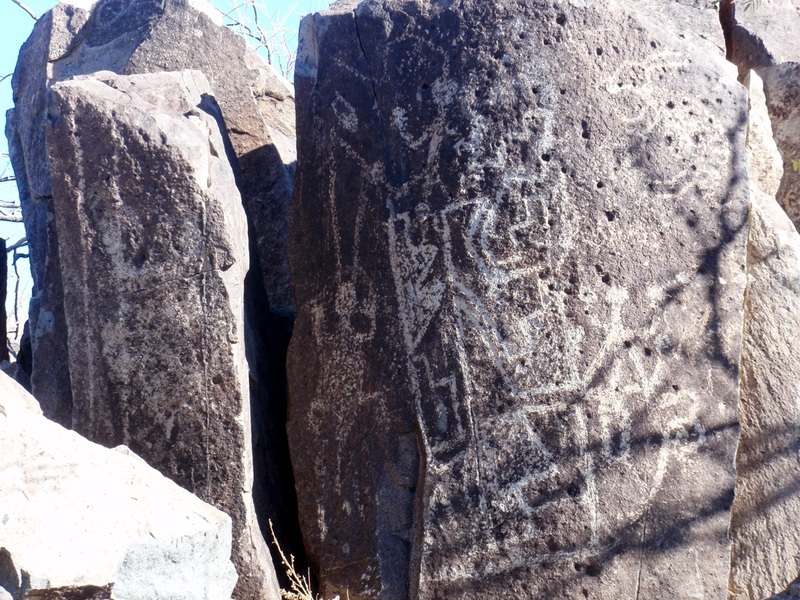 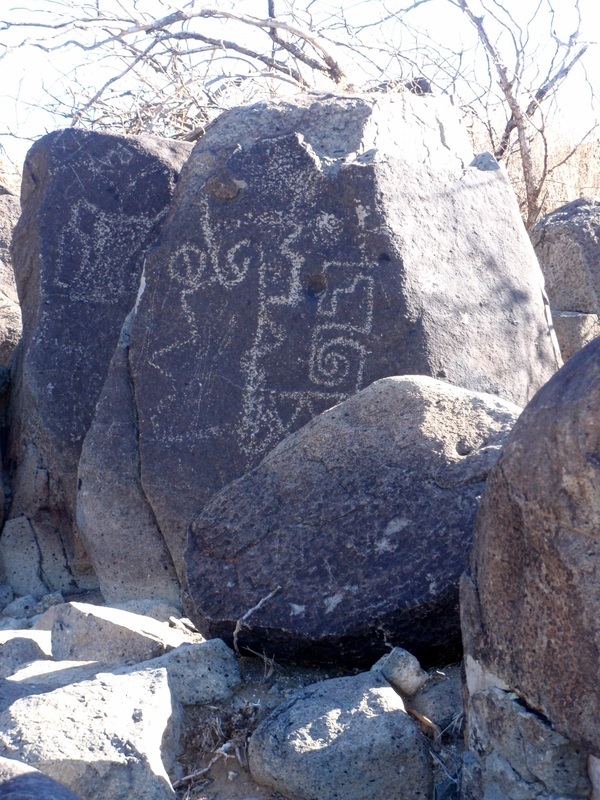 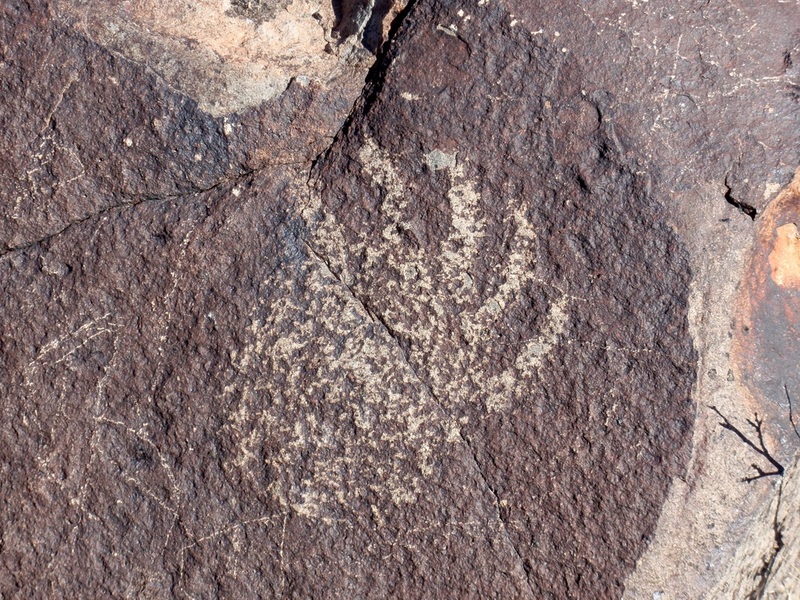 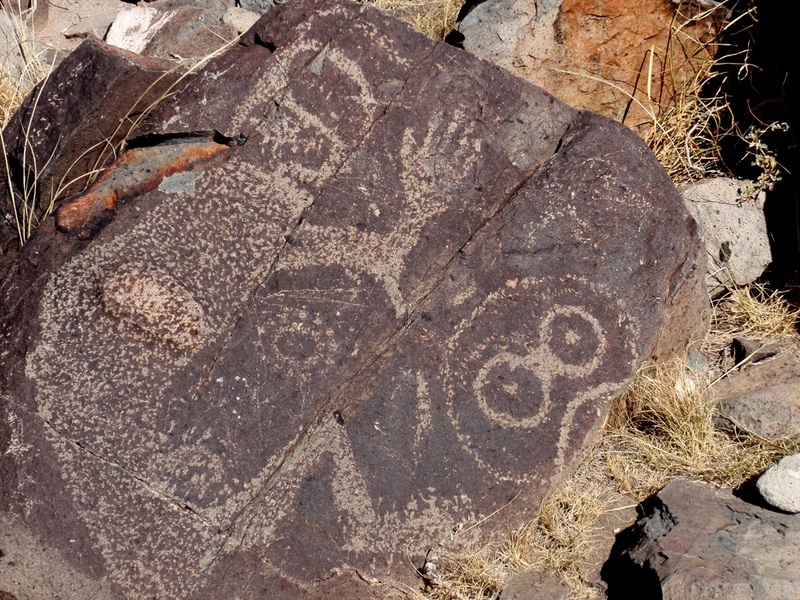 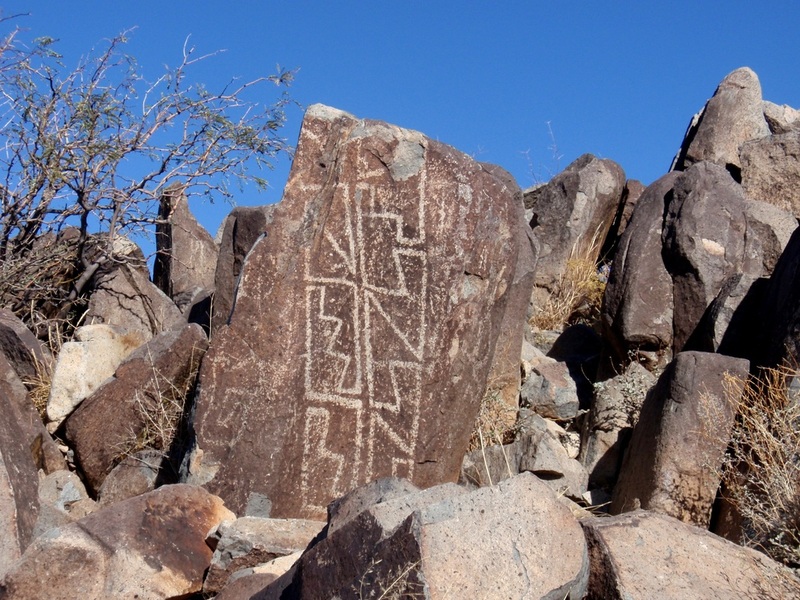 The Three Rivers Petroglyphs are outstanding examples of Jornada Mogollon rock art! 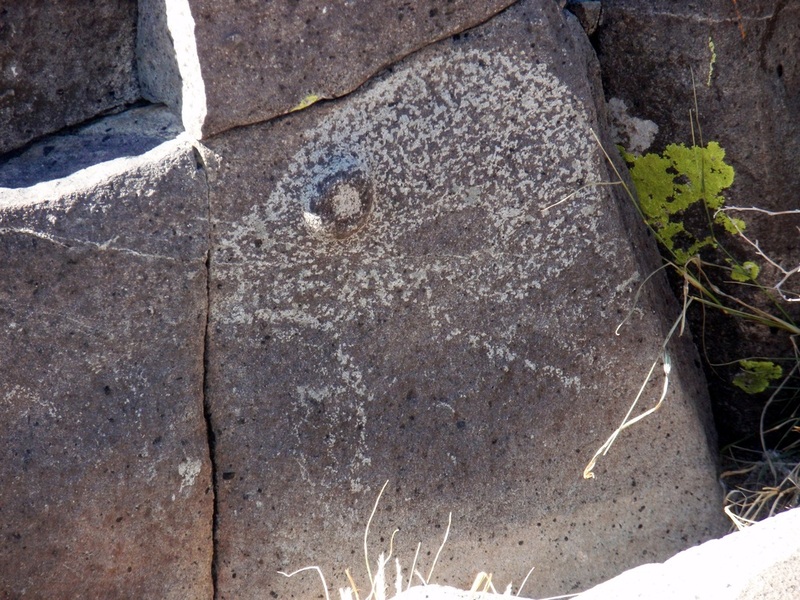 The basaltic ridge contains over 21,000 petroglyphs (literally meaning rock carvings), including masks, sunbursts, wildlife, hand-prints and geometric designs. 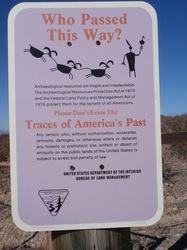 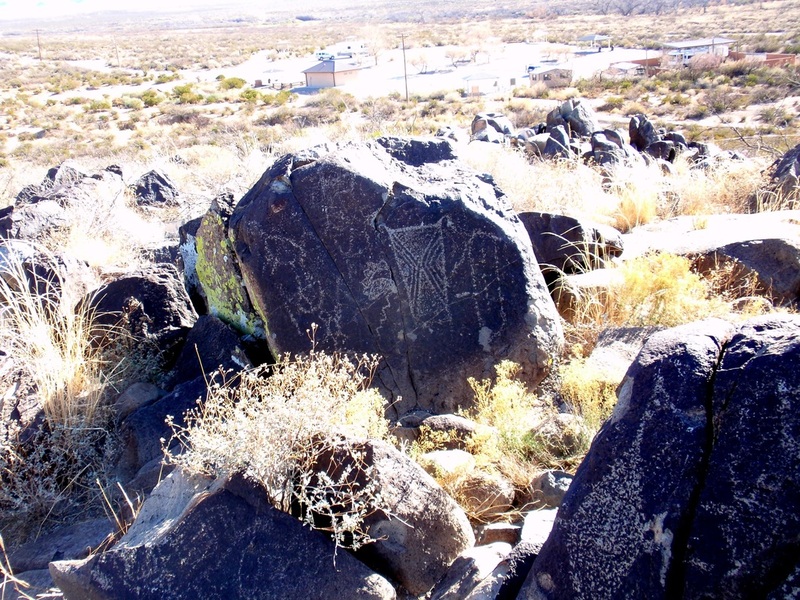 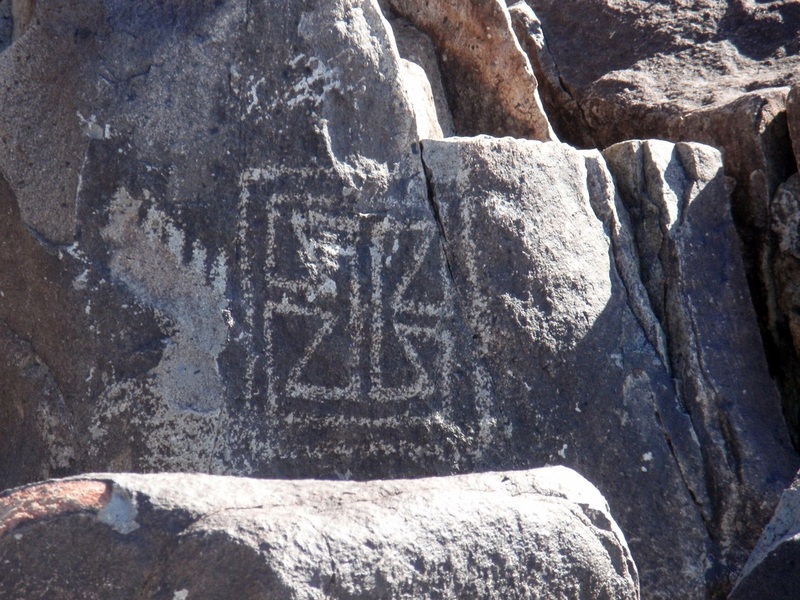 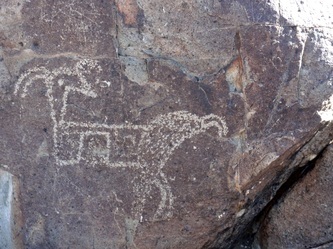 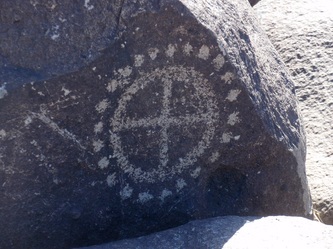 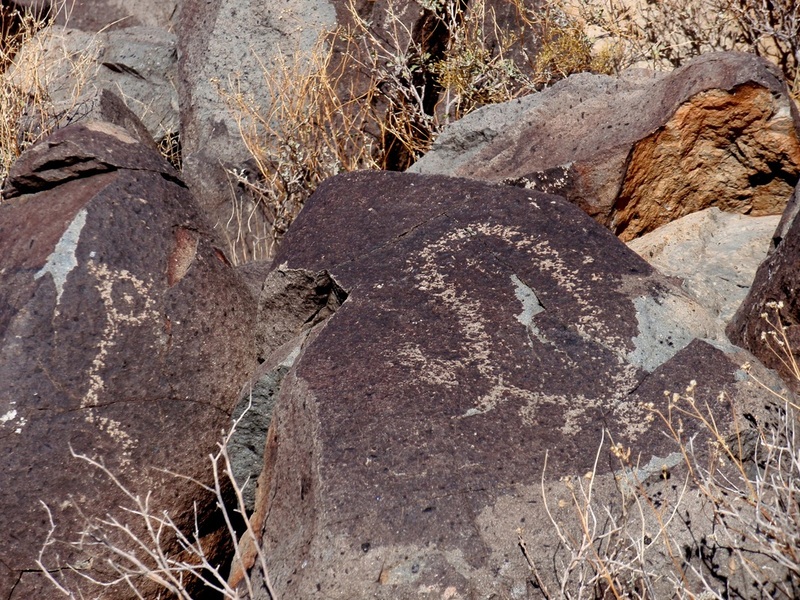 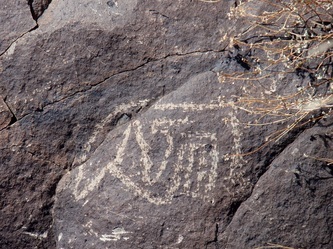 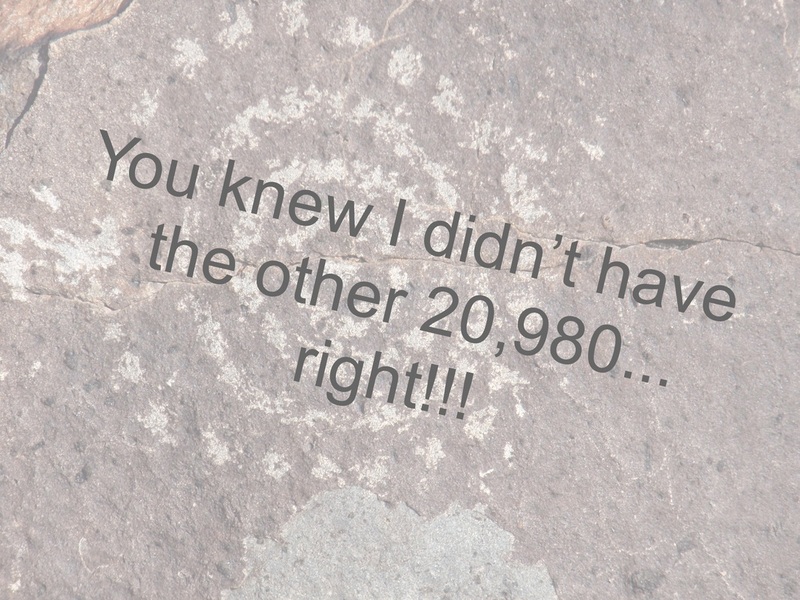 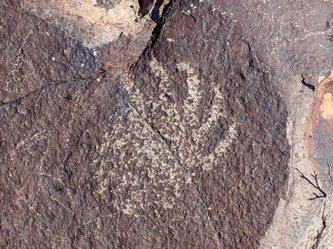 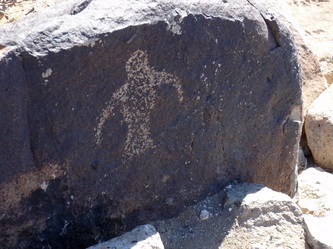 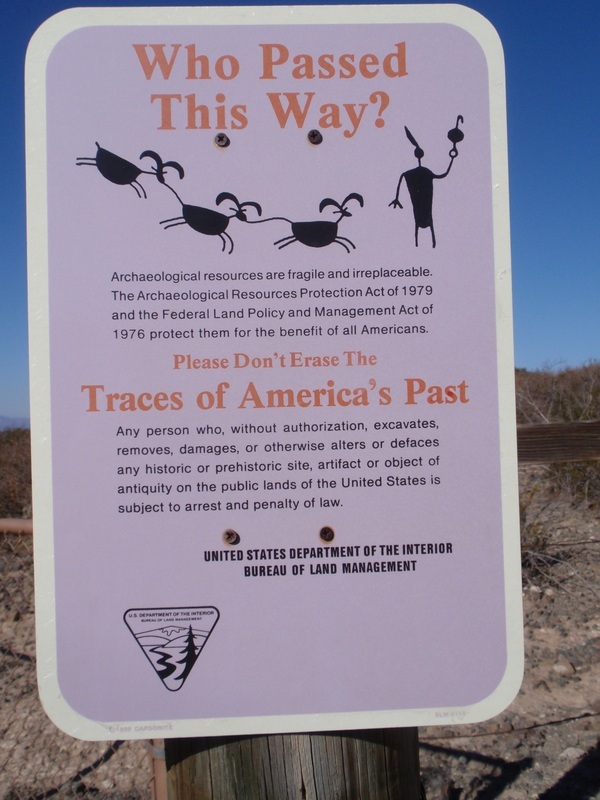 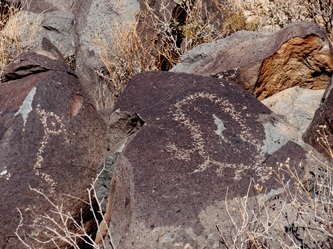 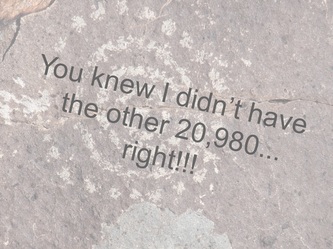 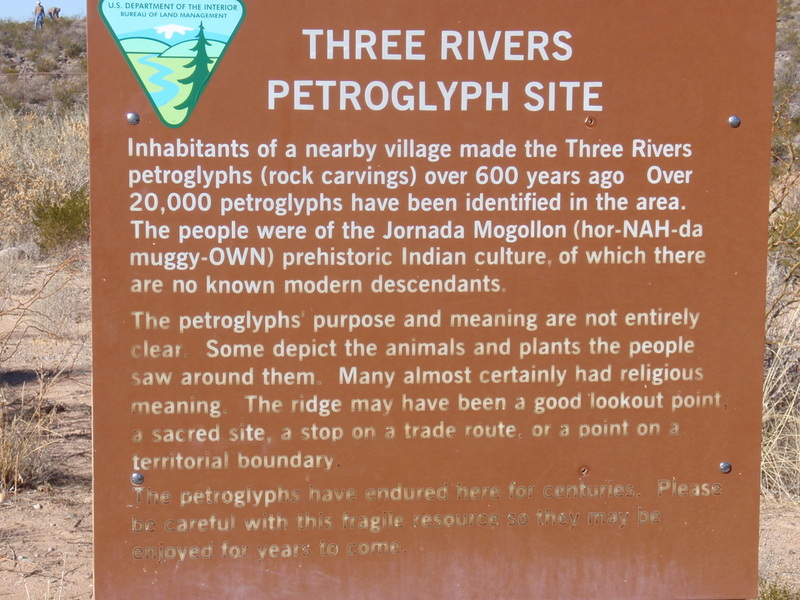 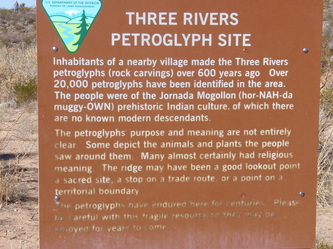 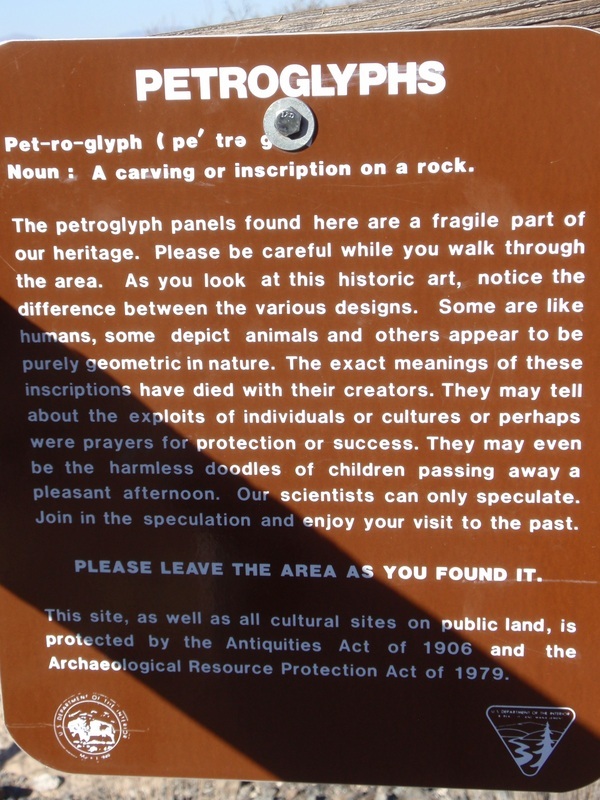 The Three Rivers Petroglyph Site is managed by the Bureau of Land Management. 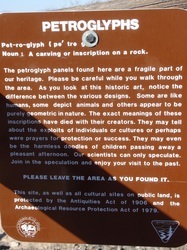 It is open to the public year round.